You don’t have to lead an entirely alternative lifestyle to fall in love with bohemian style. And the iconic combination of colours, patterns, layers and textures that became popular in the 1960s rarely spends long out of the pages of your favourite home and lifestyle magazine. If the groovy, hippie style of a flower child resonates with you, why not use it as the basis for your apartment décor? Summer is all about injecting some fun and freedom into your interior design, so here is how to do just that by fully embracing the charm of 60s bohemia in every room. Hanging furniture is a great way to show that you’re a free spirit through your décor. By using a simple rope swing and wicker design, you’ll give your apartment the instant appeal of a beachside pad, while creating the perfect little reading nook in the process. Indonesian style is synonymous with colourful, carefree designs, which is why an Indonesian daybed is a great addition to any boho apartment. To create an even cosier version of this style, decorate your daybed with plenty of pillows boasting interesting patterns and vintage textiles. This will give you a great spot for relaxation while adding flair to your décor. The bedding you choose can make an immediate and dramatic difference to the way your bedroom looks and feels overall, so if you want to create a bohemian’s bedroom paradise, start with the right bedding. Fringe, prints and tassels should all be on your list, and don’t be afraid to do texture on texture or pattern on pattern. There is always a danger with modern, minimalist bathroom design that the final product will end up looking cold and uninviting. With a few eclectic hippie touches however, this stops being an issue. Warm up your bathroom suite with a cosy seating nook and colourful tiles. Once upon a time we felt the dining room had to be a decadent and — let’s face it — ostentatious space in our home. Yet nowadays it’s okay to have fun with your dining décor. Cool blues feel both bohemian and classy, especially when paired with natural textures and materials like woven chairs. A large part of showcasing the bohemian style involves mastering the art of textiles. Finding the right materials, textures and looks for a space will help you find something that appears both stylish and free. One trick is to consider textiles you would normally associate with outdoor spaces and allow them to shine in an indoor environment. Sometimes, a single furnishing is all it takes to completely transform the feel of a space. This is certainly true of a stunning Turkish rug. Whether you choose to locate it in a living room, bedroom or in your apartment’s dining nook, a Turkish rug will bring colour and cosiness. Use it to inform the rest of your décor with other exotic items from the likes of Greece and Morocco. Another way to bring warmth and excitement to the various spaces in your apartment is through the use of unorthodox patterns — ones you wouldn’t normally consider. 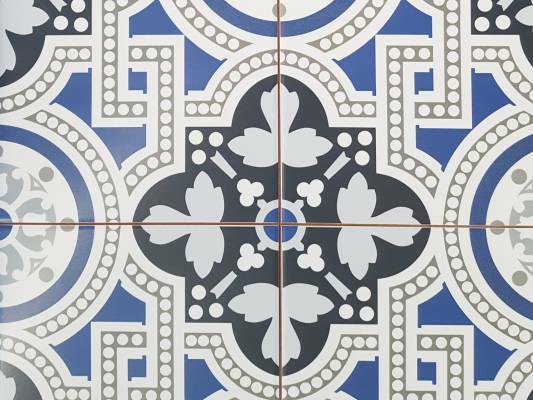 Don’t be afraid to be bold in your choices, especially in areas like the bathroom and kitchen where tiles form a great base for patterns. The living room is, of course, the space you will choose to relax in after a hard day, so it needs to ooze cosiness. To give it a bohemian vibe, consider tones like dusty pink as an alternative to the usual whites and beiges. Then carefully select a few soft furnishings such as scatter cushions or lampshades in a carefully selected accent colour. Sometimes bohemian style can also be structural, and this is the case when decorating your ceilings. You may not look up every time you walk into a room but the state of your ceiling really does make a difference to a space subconsciously. Instead of leaving your ceiling plain, why not go for horizontal stripes. And, of course, the light fitting you select to illuminate your room will also be incredibly important to finishing off a look. To tablescape means to arrange your tabletop in a way that reflects a certain mood, moment or style. It’s an art that, once mastered, can bring something fresh and homely to any space. To add some bohemian flair to your tablescaping, consider utilising colourful runners, tassels and tastefully arranged magazines. Like a Turkish rug or Indonesian daybed, a suzani headboard is a single item that can make a world of difference. As a vintage item, the suzani headboard offers both colour and pattern whilst retaining that sense of uniqueness and history we get from older stuff. 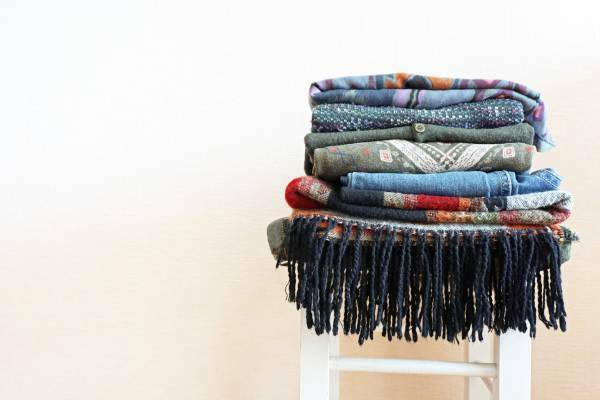 Bohemian style is all about soft furnishings, so whether you’re decorating your couch, adding a throw to your bed or simply want something to wrap yourself up in on colder nights, a hearty blanket is always a good idea. Find interesting patterns with pops of green and gold for a radical yet tasteful feel. What does bohemia stand for? Freedom, love and, of course, peace. Now and then, we all need a bit of peace of quiet, so why not allow the bohemian style to inspire a tranquil hideaway in your apartment? Even if it’s just a corner or a nook under the stairs, some creative interpretation can turn what would have been an unused space into a hippie’s paradise. It’s the little things that really make a space shine, especially if you’re going bohemian. Eclectic accents like tassels, quirky artworks, mosaic mirrors and motley flower arrangements can bring your décor to the next level. That’s right, even monochrome can be bohemian. Basing décor around black and white photographs can really make a bathroom or kitchen stand out, especially when broken up with pops of colour. Moroccan style is really coming into fashion at the moment, thanks to the trend for bold and eye-catching prints. By stockpiling a few key pieces — like an inlay table and paisley curtains — you’ll discover the power of bohemia without overhauling your entire room. Or, if you want to make a more permanent change that embraces Moroccan style, why not consider switching out your plain bathroom tiles for ones sporting Moroccan patterns. You can never have too many pillows and cushions when you’re trying to create a boho paradise. Scour local markets and artisan furnishers to collect a range of cushions with plenty of colours and patterns to show off, then it’s time to play around with your displays. Wall hangings are a quick and cool alternative to Bohemian wall art. You can put them anywhere – in your bedroom, living room, kitchen or even the bathroom — and still get the desired effect. 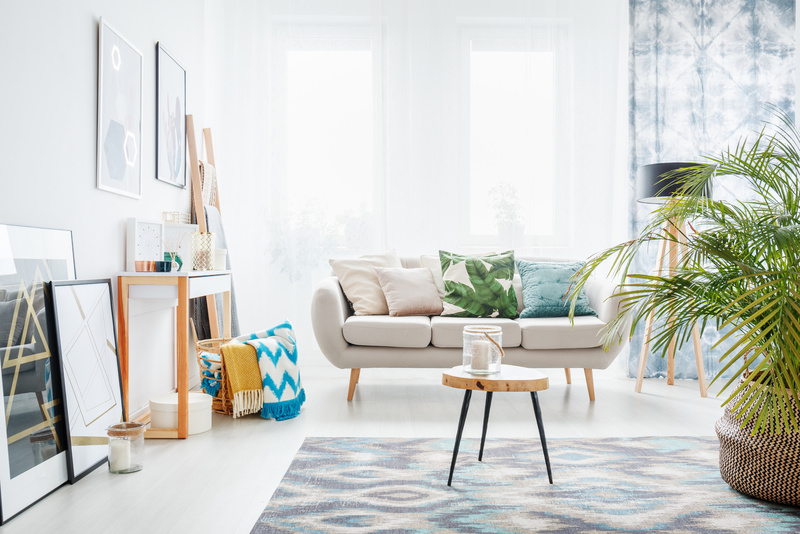 Although we tend to associate bohemian style with warmer tones like red, orange and brown, bringing blue tones together is a cooler way to bring hippie style to your apartment. From indigo and navy to teal and aquamarine, play around with making your apartment blue-tiful! Whatever your style, a stunning apartment in a great location never goes out of fashion. Discover the flagship new development at Craighouse in Morningside from Quartermile Developments. Click here to discover more.